It’s available on Redbubble as both a tee-shirt or a sticker, but i might check Society 6 for a print. 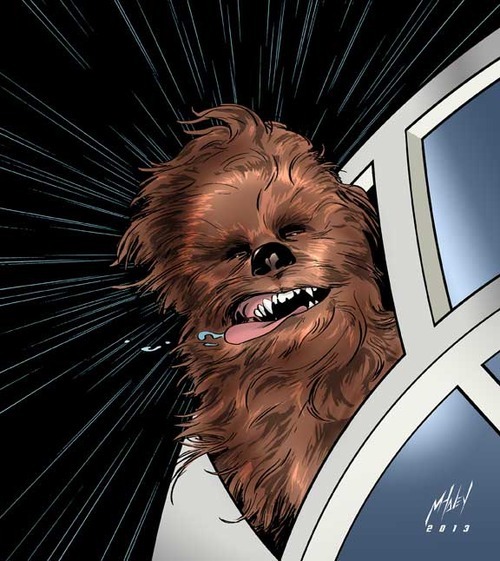 This entry was posted in Art, Stickers, Tee Shirts, Things that i don't have yet... and tagged Art, Chewbacca, Matt Haley, Star Wars, Wookieeeeeeee. Bookmark the permalink.